It is time for some confessing. I love pretty dresses. I really really love them. Sometimes when I am feeling blue I will go into Betsey Johnson or BCBG and hug the dresses. Of course buying one of them would make me feel much better, but hugging them gives me some satisfaction as well. I can spend hours looking at dresses online.....I mean hours. I just get lost in the possibilities. I could also spend hours watching "Say Yes To The Dress". I could watch women trying on wedding dresses all day long if given the chance for such indulgence. I love watching the process. I love seeing how each dress fits them differently, and when the sales consultants wade into that back room and all I can see are rows and rows of pretty white dresses I feel a little bit of bliss. I also will even admit that I get all welled up when they find "the one", and I'm not really a welled up kind of girl. 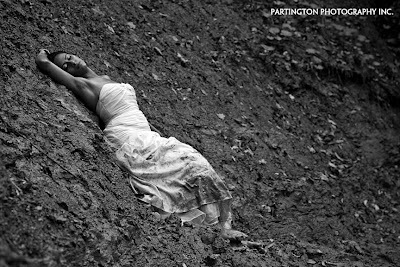 This past week I had the pleasure of finding out about photographer Jennifer Partington. 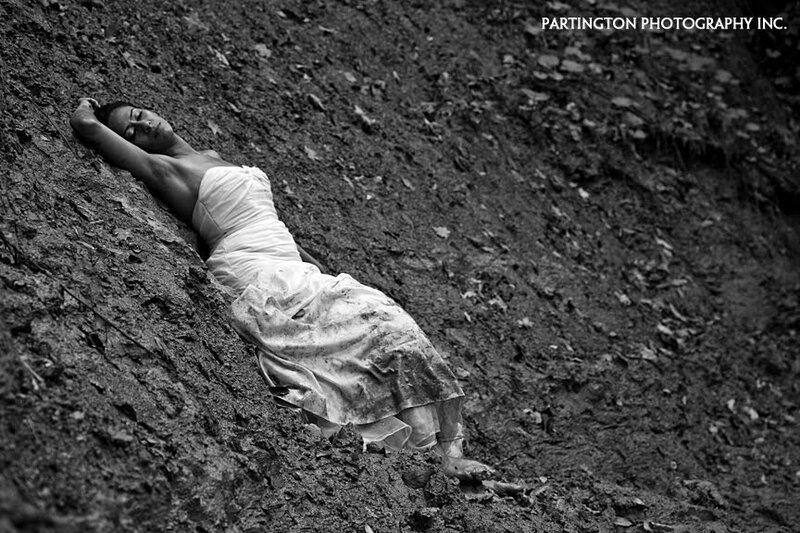 Jen recently placed 7th in the Trash the Dress international photography contest . I had never heard about Trash the Dress before. I LOVE it! I love that women are bold and daring enough to trash their freaking wedding dress! How very cool is that. I love wedding dresses, I appreciate that we spend big money on them and that we could keep them for years of memories with hopes that our future daughters will happily wear them one day. But why not trash it and get stunning photos of ourselves being brave, bold, and fierce? Here are Jen's fantastic photos. I would love to see other great trash the dress photos, so if you know of any send me a link. Enjoy! I too LOVE dresses. 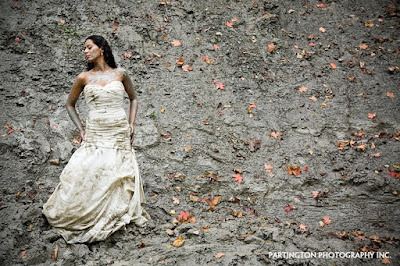 Cool idea to trash the dress. I'm working on a project of photographing dresses in a different sort of way but always love seeing new and creative ideas! I would love to see your project when it's done Ingrid!